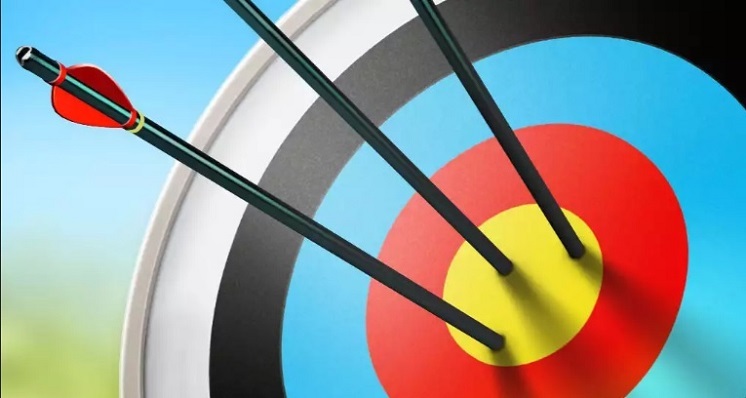 Archery King from Miniclip.com gives you the chance to show off your archery skills, and even if you’re not that good at it, the game is easy to pick up. This isn’t like a complex sim, as it’s more on the casual side. If you’ve ever had dreams of winning gold with a bow and arrow, this is it. Archery King has you taking part in one on one competition. You bet virtual money to be able to take part in a tourney, and you compete with a bot or another player. To shoot the arrow, line it up by pressing your finger on the screen. Drag the arrow and let go, and the arrow that’s nearest the bull’s eye wins. Your success depends on your aim as well as the wind direction. If there’s some gust going around, you have to make adjustments to the way you aim. The wind factor is not evident in the early phase of the game, but as you enter the latter stages, you’ll have to account for it in your shooting. The latter stages also have you shooting further away, adding to the challenge. You take turns shooting arrows in regular mode, and the one with the highest score wins. You can also go into Rush mode where you have to aim at moving targets. Not only that, but your opponent shoots at the same time as you, so you’ll need to be quick and accurate. As you continue to play the game, you’ll get the chance to shoot other targets like bottles and other objects. Overall, Archery King is an entertaining little game.